I'll be delivering at St Lukes Roosevelt in about 6 wks (eek!) and am a bit nervous as I've heard mixed things. Has anyone delivered there recently who can share their experience/give any tips? I'll be in a shared room (private is too $$) and heard some awful things--anything I can do in advance to make it go smoother? #1 - BRING CLOROX WIPES!!!!! the shared bathroom was the pits, so glad to have brought these with me on the advice of a friend who is an L&D nurse. USE THE LOUNGE! 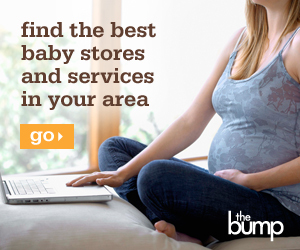 Take the baby and sit in the lounge instead of your room. When I was there the lounge was always empty. Had meals with DH and DD there, met family there, etc. Don't know why people didn't make more use of it, but it worked to my advantage. DON'T BE A HERO - Put DC in the nursery so you can get some sleep. I made the mistake of not doing this and I regretted it. Also, if you have any questions page the nurses. They were very responsive to all my pages for help with breastfeeding. All the nurses and doctors, anestesiologists (sp?) etc. were great! We were very impressed and very happy. Sis delivered their this morning, hence why I am n the NYC page to post a question...will post back once I hear her experience. Not sure if she did private room, but I can't imagine not having one...but in the NYC suburbs it is the only option! This is my first time posting here. But I delivered at St L-R in december 2006. I'm pretty certain I'll have to do it again, as that's where my OB delivers, but I wish I had another option. The cleanliness disturbed me the most, or lack thereof, and I was in a private room. I cannot imagine what a non-private room was like. The nurses left us alone most of the time, and all I wanted to do was get out of there. I didn't like it. It wasn't comfortable, it was pretty stark, and if I had my druthers, I would've either checked out earlier or delivered elsewhere. Make sure you take flip-flops or slippers. Ick. All I can say. Ick. I'm afraid I have to agree with the others on cleanliness. The clorox wipes tip and slippers are very very good tips. Also, ear plugs to deal with the roommate. I got lucky for the last couple days of my stay and landed a free private room. Before that I was miserable with roommates. First roomie was great. No problem. Second snored so loud I'm sure she could wake the dead. Third was wheeled into my room in the middle of the night, they turned on all the lights and were very very loud. she also chose to keep her baby with her but didn't bother to feed the girl so she screamed bloody murder for the rest of the night. I called my husband in tears and told him if I couldnt' get a private room the next night I was checking out early. So next time I'm bringing earplugs and something to cover my eyes too. The nurses were very responsive though. And I highly recommend keeping your baby in the nursery while he/she sleeps. For the sake of your neighbor and for you as well. You need the sleep and the baby will be well cared for. Be friendly with the nurses and they'll be nice to you. Yikes, that is sounding scary and not what I wanted to hear at 36weeks. I'll bring the wipes, earplugs, eye mask and slipper and cross my fingers. I just cannot justify spending $750 a night when we have so many more important things to spend money on. I can't believe some of these roommates--ugh. I hope my stay is short, and how a delivery area/baby area can be filthy in Manhattan is shocking.